Back in 1953, Chevrolet's launch of a two-seater sports car was a radical departure for a marque associated almost exclusively with sensible family transport. 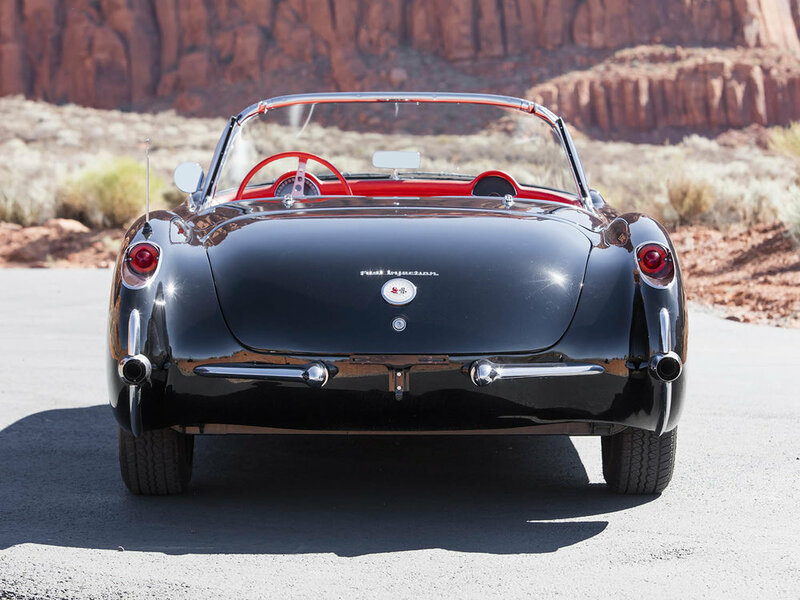 Based on the 1952 EX-122 show car, the Corvette made use of existing GM running gear and a shortened chassis, around which was wrapped striking Harley Earl-styled fibreglass bodywork. Power came from Chevrolet's 235 cubic inch straight six. Intended as competition for the T-Series MG, the Corvette cost way above the target figure, ending up in Jaguar XK120 territory but with an inferior performance. Sales were sluggish initially and the model came close to being axed, surviving thanks to Chevrolet's need to compete with Ford's Thunderbird. A V8 engine for 1955 and a radical restyle for '56 consolidated the 'Vette's position in the market. Chevrolet's introduced an optional fuel injection model for 1957, this was inspired, for it provided the now bored out 283 cubic inch V8 with a matched number of horses under the bonnet. Retrospectively it is amazing to think that Chevrolet was able to offer this simultaneously with Mercedes and their 300SL, while on other high-end machinery it would be more than a decade before this would be the commonplace. And all at once, the term 'fuelie' was born. By this time, Corvettes had begun to establish an enviable competition record for the marque. Corvette Chief Engineer Zora Arkus-Duntov was a big fan of motor racing and it was he that was responsible for unlocking the car's potential and development it into a genuine race-winner. These racing successes repaid Chevrolet's investment with interest: Corvette sales improved significantly, ensuring the car's survival and enabling it to go on to become the world's best-selling and longest-lived sports car. 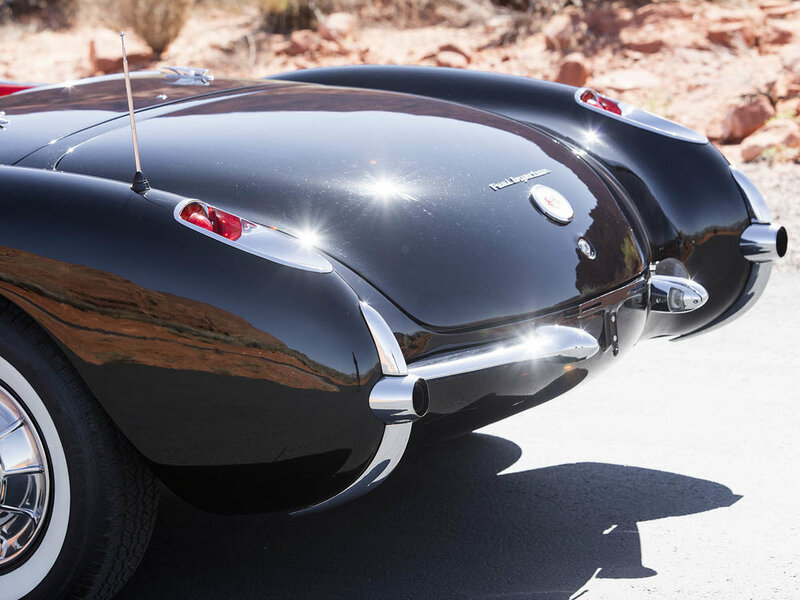 Bonhams will be offering this 1957 Chevrolet Corvette Fuel Injected Roadster at their upcoming Quail Lodge Auction on the 24th August. Its estimated value is between $130,000-$160,000. For more information on this and other vehicles at the sale, click on the link below. Photos courtesy of Bonhams.